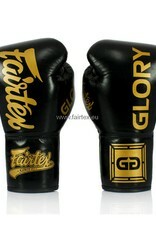 Authentic Glory Competition Gloves, as seen on television. 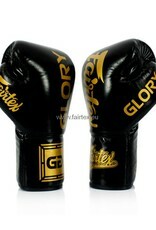 Used at official events of the world’s largest kickboxing organization. 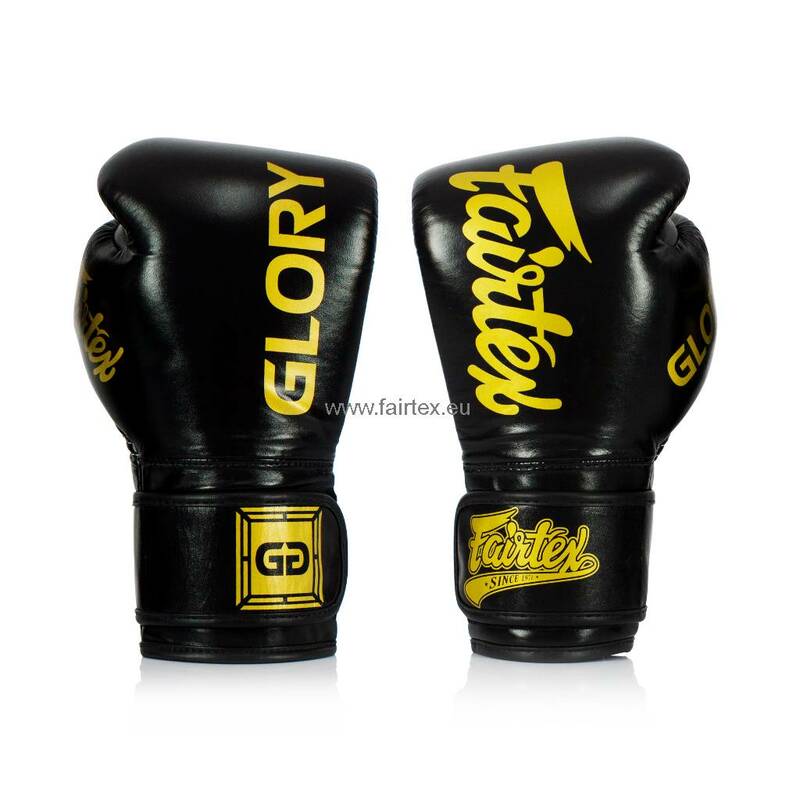 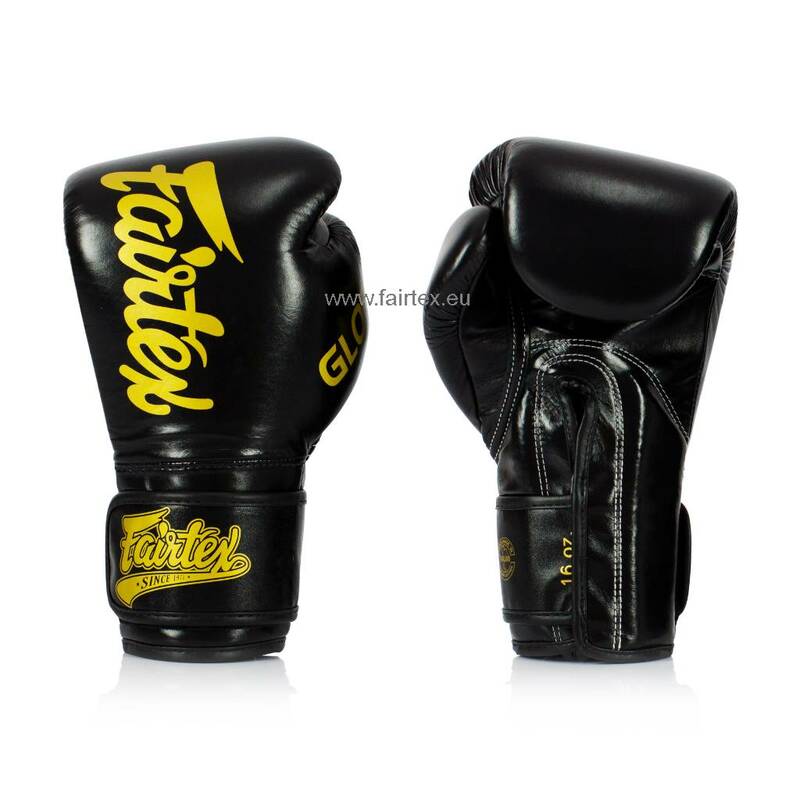 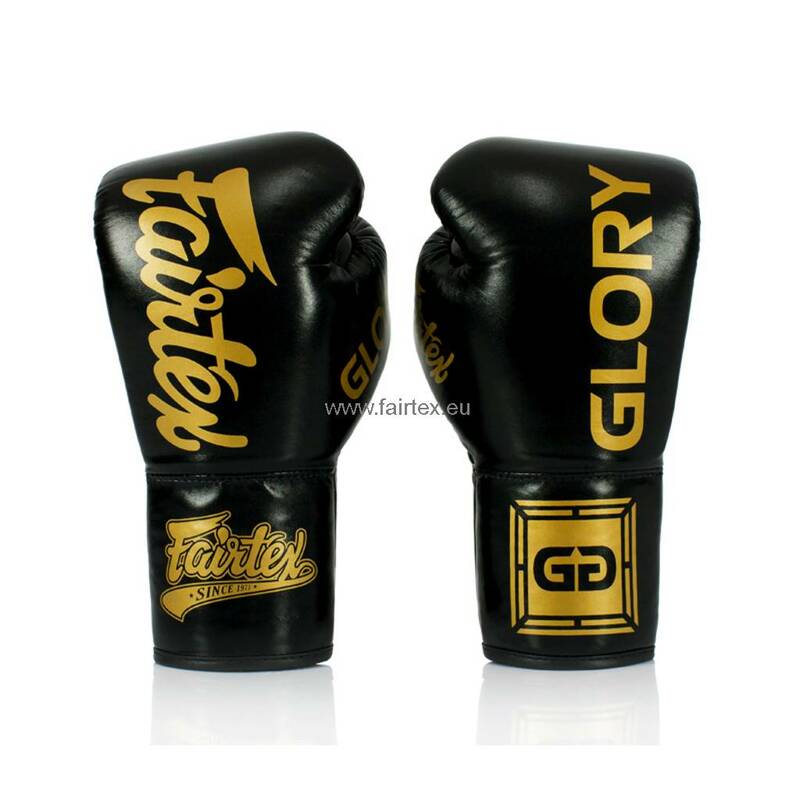 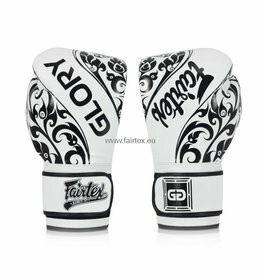 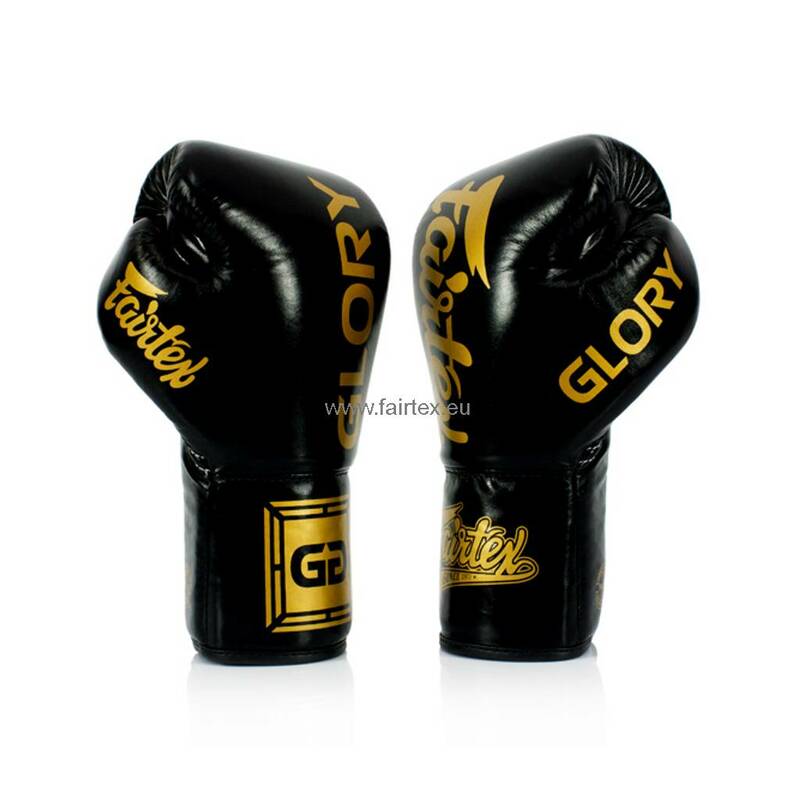 Fairtex has produced exclusive official Glory competition gloves, by engineering a modified version of the classic Fairtex BGL6 lace-up design boxing gloves, worn by the world’s top strikers. 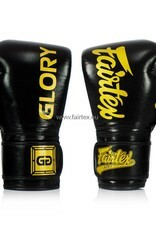 The padding was reshaped in order to achieve consistent weight throughout and a lighter overall feel. 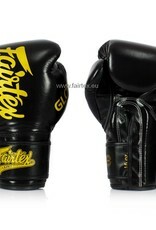 Removed thumb stitching from the glove’s body to maximize safety. 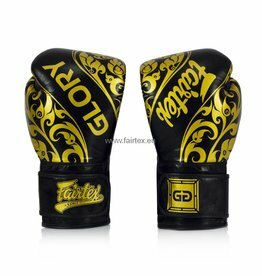 Expertly joined to the glove’s wrist with flat stitching that denotes the glove’s unparalleled craftsmanship. 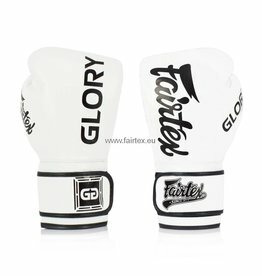 The gloves are equipped with a velcro wristband, which makes them more suitable for training and sparring, compared to the laced version.